This popular package features class-leading front and rear suspension travel for a smoother ride. 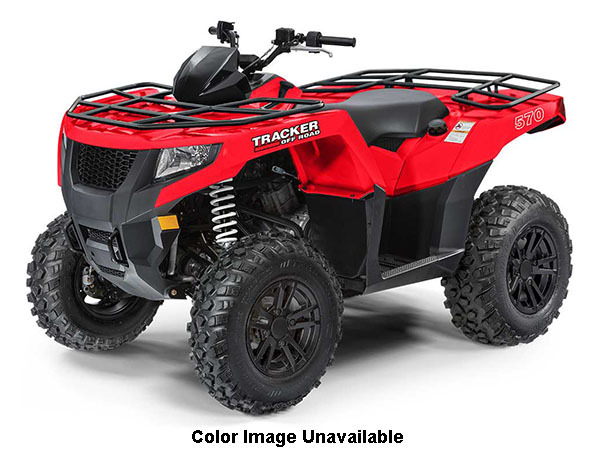 At work, the TRACKER 570 brings front and rear storage racks, 11 in. ground clearance, and 1,050 lb. towing capacity. Its RTS (Rapid Traction System) allows shifting from 2WD to 4WD while in motion to maintain control and momentum. INSTRUMENTATION: Digital Gauge, Speedometer, Odometer, Tripmeter, RPM, Gear Indicator, Fuel Gauge, Low Fuel Warning, Clock, High Beam, Air Intake Temp, Coolant Temp, Coolant Temp Warning, Battery Voltage, Hour Meter.